Back mailer portion of the exhibition poster. Completely folded and folded in half. 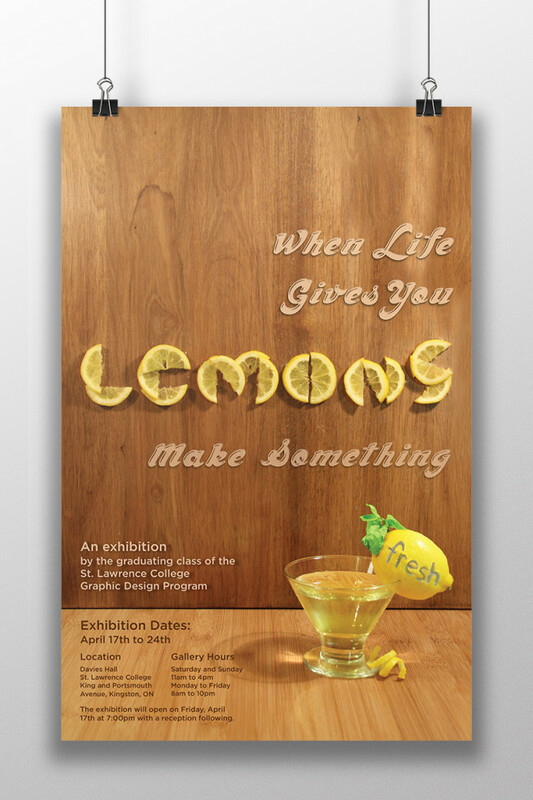 The Graphic Design program at St. Lawrence College is once again holding their graduating exhibition. This means they are in need for the front and back mailer portion of the poster. Concept was based off of the saying, “When Life Gives You Lemons Make Lemonade.” It was then changed at the end to “Make Something Fresh” to relate to the life of a designer, which is full of creativity. Things are always changing and evolving in design. One of the most important things is to stay on top of the trends, and have fresh ideas. Main type had to be manually constructed. 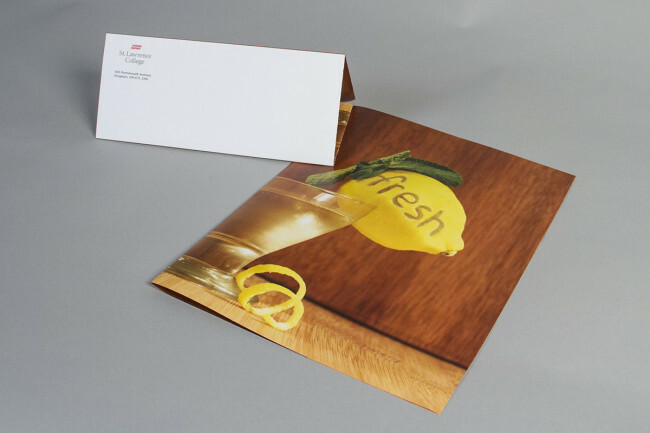 The hand constructed type is the ‘LEMONS’ and ‘fresh’ in the lemon. Design keeps with a lemon yellow as the vibrant main colour, along with the browns from the cutting board to keep everything neutral.